Private yoga sessions are available for adults & children. Each session is tailored to you. If you’ve never done yoga before, we’ll start with some breathing practices and work through some fundamental yoga postures, alignment and progress the practice from there. No rush, no pressure. Each class is slightly different depending on how you’re feeling and what you’d like to get out of it. Why book a 1-2-1 yoga class? 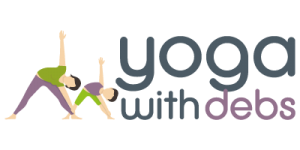 I offer children with additional needs private yoga sessions – these can be at home or in a studio. Currently offering private sessions at The Tower Clinic, Cookridge, Heather Yoga (Saltaire), Yorkshire Yoga (Harrogate) and Shadwell Studio, Shadwell. Please contact me for more information.